Baconsaurus, doesn’t actually appear to be true bacon, but imported bacon. Panchetta, prosciutto, or one of those exotic meats. Hell that’s OK, he’s a dinosaur, they’re allowed to be eccentric. Still pretty cool non the less. 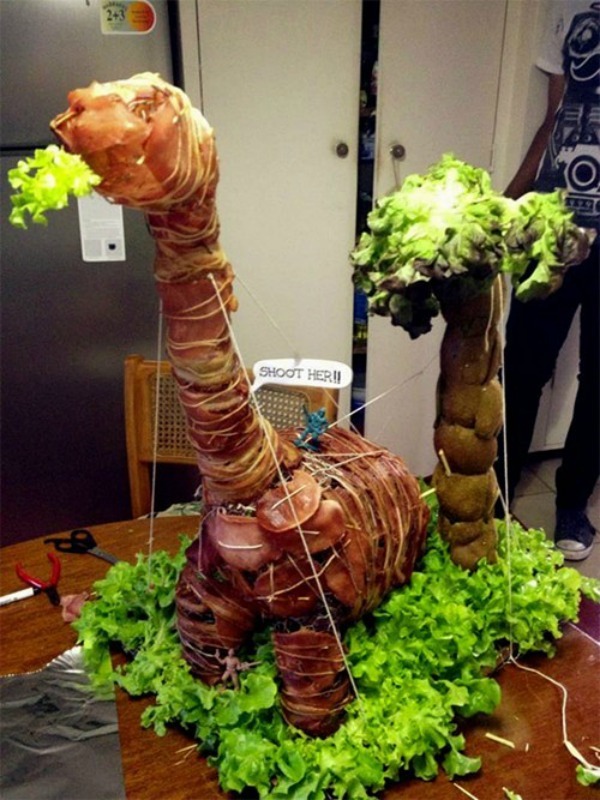 Baconsaurus for Jurassic Appetites Only | Foodbeast.